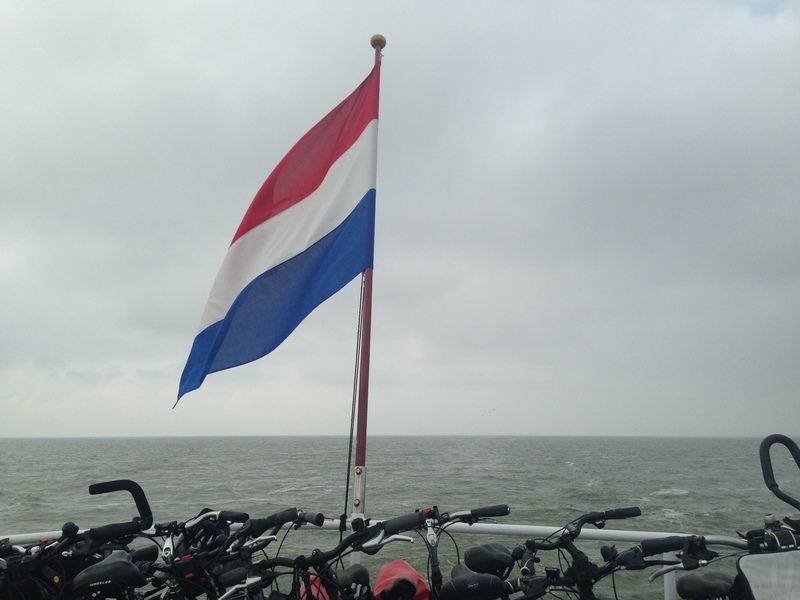 The ferry across the IJsselmeer carries visitors (and their bikes) to Fryslân. Photo by Angela van der Kloof. Welcome! We’re glad you stopped over. The Winter Cycling Blog is the official voice of Winter Cycling Congress 2015 Leeuwarden, the third international conference on winter active transportation. Sign up and get logistical details on our website. Here on the blog, we’ll share details about the conference, such as introducing you to Leeuwarden, the lovely Dutch town that will host this year’s conference and sharing sneak previews of WCC content. We’ll also use this space to start talk about winter cycling. Winter cycling truly is an emerging area and it is exciting to discuss with people from all around the world. The conversation is enriched by diverse voices so please chime in here or on Twitter, Facebook and LinkedIn. We don’t have to wait until February to begin learning from each other! Keep reading if you are unfamiliar with the Winter Cycling Congress. The third annual WCC is about uniting hearty souls from communities of all climates, sizes and levels of bicycle development who share the ambition to make two-wheeled travel normal, even when the snow flies. Using the perspective of all different types of professionals – from engineers to planners to journalists and more – we are planning a conference meant to show winter cycling is more than a sustainable solution for transporting people in urban areas, it is also a way to increase the health, wealth and happiness of a community. Join us in compiling the evidence that winter cycling really is worth the investment through sharing international best practices, real-world experiences & the latest research. We’re envisioning a future where cities around the world – not just here in the Netherlands – have mass cycling and walking all through the winter. Winter Cycling Congress 2015 Leeuwarden is hosted by Regionaal Orgaan verkeersveiligheid Fryslân, (Regional Traffic Safety Board of the Province of Fryslân) and organised by Mobycon a research & consulting business in traffic, transport & mobility. The Winter Cycling Congress is a project of the Winter Cycling Federation.